Probiotics are defined by the World Health Organization as “live microorganisms that, when administered in adequate amounts, confer a health benefit on the host”1. They are the “good guys”: good bacteria that promote optimal gut health, leading to improved well-being. Sportsmen and women can benefit from introducing probiotics into their diet or supplement regime, particularly if they frequently experience digestive disturbances, recurrent infection or poor recovery. But how? Improved immunity is arguably the most beneficial effect that probiotics confer to sports people because an infection essentially means no training or worse yet, no competing! Ever noticed that some very fit people get sick so much more often than the “average joe”? Well this is due to the fact that excessive training puts strain on the body, resulting in the release of stress hormones such as adrenaline and cortisol and a resultant suppressed immune system7. Probiotics can help to combat this by strengthening the body’s inherent defences through an increase in the activity of immune cells and proteins housed within the gut8,9 which results in decreased duration and severity of various infections10,11. Physical exercise results in an increase in free radical production2, meaning that levels of circulating free radicals are increased after prolonged exercise. The aim around recovery nutrition is to return the body to its pre-exercise state. Probiotics can assist this process by improving the absorption of various micro and macro nutrients including antioxidants which have the ability to counteract the effects of free radicals. Probiotics also improve absorption of amino acids, the building blocks of proteins, which play an important role in repairing muscles3,4. With improved protein absorption, you would need to consume a smaller amount of protein to experience the same benefits as somebody not taking in the probiotics which offers a financial benefit5. Of particular interest is the fact that studies are showing probiotics to improve leucine absorption by 23% 6. Leucine is a branched chain amino acid well known for its beneficial effects in protein synthesis. Gut health and probiotics are synonymous, so as you may imagine, probiotics can prevent those very uncomfortable and urgent “toilet breaks” during exercise. This condition is referred to as “leaky gut syndrome” and is often experienced by endurance athletes, particularly runners. Not only can it cause a lot of discomfort for an athlete, but it may also mean a significant increase in your race time. Leaky gut, occurs because cells lining the intestinal walls pull apart during exercise, causing a leak into the bloodstream. Probiotics put into place various mechanisms which help to significantly reduce the chance of leakage occurring by reinforcing the intestinal wall, reducing the likelihood of GI distress during exercise11,12. While live bacteria may not be the most obvious sports supplement to pop to mind, it may be one of the most helpful, especially if you are prone to infection or tummy complaints. When we live in a world with smart phones, smart cars and smart TVs, doesn’t it make sense to make sure you’re getting smart nutrition too? National Cereal Day is celebrated annually on the 7th of March and this year we raise our spoons to pay tribute to our hero cereal, FUTURELIFE® Smart food™ which has been providing South African families with a smart breakfast choice for 11 years. In order to appreciate our current breakfast advancements when it comes to nutrition, let’s look at the history of the breakfast cereal invention. It was during the Civil War that Americans were faced with an array of gastrointestinal problems as a result of a high consumption of meat. Due to its affordability, Americans would eat a large amount of meat at meal times, particularly breakfast. During the 1860s, reformers expressed their views of meat being both physically and spiritually unwholesome. In the end this resulted in the idea of breakfast being transformed forever in not only America, but around the world. The transformation started off with nuggets made from dense bran. This bland tasting cereal was so hard that it had to be soaked overnight in order to soften it. Since this first manufactured breakfast cereal, numerous food companies have used the breakfast cereal concept to produce products made from a wide variety of ingredients and in the most creative shapes and delicious flavours. Somewhere along the way it seems that some food companies have however lost the initial ideology of creating a breakfast cereal that is nutritionally complete and have instead capitalized on the idea of a breakfast cereal that compromises nutrition for taste in order to make a high profit margin. At FUTURELIFE® we believe that we’ve stayed true to the initial breakfast cereal ideology and this is all thanks to our humble beginning. The journey of FUTURELIFE® began in 2008 primarily as a social project to help improve the lives of malnourished and disadvantaged people in sub-Saharan Africa. Our aim was to create the most nutritional product possible at the lowest cost and with total convenience. It had to have a great taste and could be enjoyed by just adding water (adding milk and/or sugar were optional). We believed the product should contain only the highest quality ingredients, even if it meant getting these from other parts of the world. We established a research team made up of doctors and dieticians and it took them two years to develop a product that offered all these benefits. We decided to call it FUTURELIFE® because it was created specifically to give people the hope of a happy and healthy “future life”. FUTURELIFE® proved so nutritious and popular with everyone who received it, that we decided to repackage it and market it to all South Africans. The product now known as FUTURELIFE® Smart food™ offers complete nutrition with an internationally recommended blend of energy from carbohydrates, proteins and fats as well as 21 vitamins and minerals delivering 50% of your daily requirements for all vitamins and most minerals. It also contains additional functional ingredients including fibre, inulin (prebiotic) and MODUCARE® (a daily immune supplement). In addition to its nutrition, FUTURELIFE® Smart food™ offers convenience in the form of 4 delicious flavours and it can be consumed as a meal, shake or smoothie by simply adding milk or water. It truly is remarkable to look back and celebrate how far nutrition has advanced since the early invention of the breakfast cereal. We are also proud of our own history and the ‘smart food’ we contribute to the breakfast cereal isles around the country. Every day we receive hundreds of emails from people with their personal stories on how FUTURELIFE® has changed their lives. These people are from all walks of life- some are mothers who are happy in the knowledge that they are now providing their families with excellent nutrition, many are already fit athletes who find that FUTURELIFE® gives them the sustained energy they need for endurance events and others are diabetics, cancer survivors, people with multiple sclerosis, suffering from IBS or faced with other health challenges who have FUTURELIFE® to assist them in promoting a more balanced life. So, what are you waiting for? Raise your spoon, shaker or glass filled with FUTURELIFE® Smart food™ to celebrate National Cereal Day and the advancements of our proudly South African company, FUTURELIFE®. Every year, trend agencies publish food and health trends for the year to come. These trends are eagerly awaited by not only the food and health industry but also consumers alike. In 2019, many of the food and health trends show the influence of a more health conscious consumer3,4. So, with less than a month to go until 2019 is upon us, we have a look at what food and health trends are awaiting us in the new year. With people choosing more a plant-based diet and eating less meat, it is no wonder that plant-based eating is still a major trend for 2019. This can be seen in the increased prevalence of vegetarianism, veganism or flexitarians, but also more plant-based meals on offer at restaurants and supermarkets. Within this trend, the search for good quality proteins such as soy, tofu, legumes, walnuts, tempeh, seeds and whole grains are becoming more popular as they easily replace meat or fish without affecting the balance of our meal1. Eating more plant-based foods is not only beneficial for you but also the environment. FUTURELIFE® products are made from non-GMO soy and maize, therefore embrace the plant-based trend and depending on which product, are suitable for vegetarians or lactovegetarians. As people become more health conscious, they search for healthier alternatives and replacements for particular foods. People are searching for healthier alternatives for bread, meat and dairy3. This is seen in the increased use of milk alternatives, vegan cheeses, black beans, lentils, rice, nuts, seeds, chickpeas, pea and lupin (legume)3 as well as insects as protein sources1. There is also talk of beans, peas and lentils being used in cakes, muffins and breads3 and plant-based frozen desserts2. Snackification is another trend that is carrying over from 2018. What is changing, however, is the way people think about snacking and what is considered a snack1. Researchers found that “63% of millennials are replacing meals with snacks and snacking is moving away from being a an optional extra to a definitive occasion1”. Trends seen in retailers show the rise in snacking options made with better ingredients all neatly packed in a single-serving. Try our range of snacks to help keep you going throughout the day, FUTURELIFE® High Protein and High Protein LITE SmartBar, FUTURELIFE® Smart Drink™ or FUTURELIFE® Crunch Bar. Our powdered range can easily be mixed with water or milk to make a meal, shake or smoothie. This trend not only embraces including foods that naturally contain probiotics such as Kefir, Sauerkraut, Tempeh, Kimchi, Miso, Kombucha and Pickles7 but also shelf stable probiotics added to foods. You are going to start seeing functional probiotic ingredients added to your staples through products like granola, yoghurt, cereals, nut butters, soups and bars2. 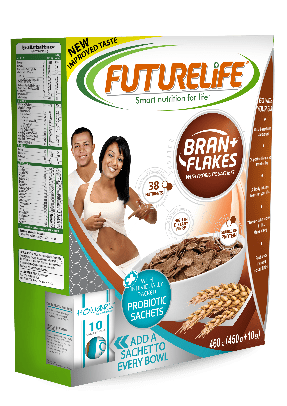 FUTURELIFE® as a brand embraces the trend of probiotics in food and importance of gut health with our FUTURELIFE® Bran Flakes with Probiotic Sachets. This product contains individually wrapped sachets of HOWARU® Premium Probiotics. This trend focuses on increased demand for healthy, foodie inspired convenience food and drink options, that don’t skimp on quality. This includes premium convenience foods4, meal kits4,5, food delivery services4,5 and in other parts of the world, fully-automated food stores that use mobile apps and cameras to make grocery shopping as seamless as ordering food for delivery4. This is in response to the fact that more people are becoming health conscious and showing a passion for food, but might lack the skills, equipment and/or time. Preparing oneself for a longer, healthier lifespan is particularly relevant as consumers view health and wellness as a holistic, proactive, and ongoing pursuit. We will see more food and drink products that are being developed for people of all ages, especially the aged, through fortification or the addition of a functional ingredient in order to make a functional food. This is when a food given an additional function by adding new ingredients or more of existing ingredients over and above what you would find in a normal food4. The aim is to help consumers to efficiently consume vitamins, minerals, and other ingredients that are potentially beneficial for one’s health namely bone, joint, immune system and brain health4,6. Did you know that FUTURELIFE® is a functional food brand, with added functional ingredients such as MODUCARE®, HOWARU Premium Probiotics and SUPRO® Soy Protein Isolate as well as additional vitamins, minerals, omega 3 and prebiotics? With the large amounts of plastic ending up in the environment and microparticles starting to infiltrate our food, it is no wonder that it’s a 2019 trend and rightly so. People are trying to be more health conscious as well as considering the environment more. The food industry as well as its consumers are striving to use less plastic, recycle more and there is a big drive to switch to environmentally-friendly packaging. This is evident in the banning of straws, earbuds, the increased use of recyclable takeaway and coffee containers, encouraging customers to bring reusable containers or coffee cups and even plastic free grocery stores. Rethinking plastic along with the movement to reduce food waste as well as the importance of soil health and regenerative agriculture are named in Mintel’s global food and drink trends for 2019. Some people don’t like to go to gym or exercise in a group but struggle to find motivation to exercise on their own. This trend allows people to get training and instruction from the comfort of their own homes. It usually involves subscribing to an app where you pay a monthly fee and requires the use of a TV or cell phone. Other trends that are on the radar for next year include the importance of gut health2, the use of hemp2, pacific rim flavours (Asia, Oceania and the western coasts of North and South America)2, colourful beverages using natural, botanical and plant-based ingredients2,3,6, mindfulness and intuitive eating5. Our FUTURELIFE® Bran Flakes with Probiotic Sachets have been reformulated to be high in dietary fibre and 12 vitamins and 3 minerals. Each probiotic sachet contains 1 billion CFU (colony forming units) of L-acidophilus and B-lactis which are shown to have digestive and immune benefits in this dosage. If I had to choose one word to start a conversation amongst a room of shy athletes it would be none other than ‘carbohydrates’. Majority of the people would probably tell you it’s all about timing, type and specific amounts of carbohydrates you consume. On the other hand, a few others may mention their new low carbohydrate, high fat, adequate protein diet. Why is the idea of your body running on other fuel sources such as fats instead carbohydrates becoming so popular and is there any science backed evidence behind this? Let’s investigate this further. WHAT ARE CARBOHYDRATES AND WHY ARE THEY NEEDED? Firstly, let’s explore why carbohydrates have been the tried and tested fuel source. Providing sufficient amounts of fibre in the diet to assist with regular bowel movements, prevent constipation and certain types of fibre reduce cholesterol levels. High fibre diets are also linked to a lower risk of cardiovascular disease, type 2 diabetes and bowel cancer. WHAT ARE FATS AND WHY ARE THEY NEEDED? Essential fats are important for heart health. Essential fats cannot be made by the body and must be obtained from food sources. Fats are necessary in the diet and play a role in numerous functions of the body. Now that you have a basic understanding of carbohydrates and fats, let’s look at their role in sports. Since carbohydrates are the body’s main fuel source, it makes sense why they are key for exercise. Inadequate carbohydrates and stores leads to fatigue, affects your ability to train hard and perform and reduces immune system function. In order to perform at their best, athletes are therefore encouraged to plan their intake of carbohydrates to ensure that their bodies are fuelled accordingly8. So, where do fats come in? The new trend amongst athletes is the ketogenic diet. This involves consuming a high fat, adequate protein and low carbohydrate diet. In essence the ketogenic diet forces your body to adapt from using carbohydrates as your source of fuel to using fats instead. In hope of boosting their performance, some athletes have started following the ketogenic diet. However, research shows that athletes who are involved in high intensity, short duration sports may actually see a decrease in their performance. In one such study, depending on the type of exercise, the performance of athletes on the ketogenic diet was 4-15% lower than the high carbohydrate group9. Although this was a small study and participants were only on the two diets for a couple of days, a review of several studies has found similar findings with participants on the ketogenic diet exhibiting fatigue during short duration sports10. Considering these findings, the ketogenic diet may not be the best option for high intensity, short duration sports. When it comes to endurance sports, the ketogenic diet shows more promising results. Researchers do however caution individuals making the switch that it can take several months on the ketogenic diet for the body to change from using carbohydrates as a main energy source to using fats10. Failing long term adaption to the ketogenic diet, athletes may experience negative side effects such as hypoglycaemia, reduced muscle glycogen and reduced athletic performance11. Although research is limited, current findings suggest that endurance athletes may experience benefits from being on the ketogenic diet after several months on the diet. Research investigating if there are any potential harmful effects of being on the ketogenic diet is still limited. The ketogenic diet is becoming popular amongst athletes. Research shows that the ketogenic diet may not be the best option for high intensity, short duration sports due to fatigue and reduced performance. More promising results are exhibited with endurance athletes on the ketogenic diet however the long-term side effects are unknown. In order for your body to use fats are its main energy source, your carbohydrate intake needs to be kept very low- typically 20-50g per day. This means that you have to be extremely strict with your eating or else it won’t work. Even just one cheat meal can push your body out of a state of ketosis which is crucial to see results on the ketogenic diet. The ketogenic diet was originally developed as a treatment option for children with epilepsy whose seizures were uncontrollable with anti-epileptic drugs12. Now that researchers are investigating its effectiveness in athletes, there is no clear-cut evidence on the possible side effects. Some athletes feel amazing on the ketogenic diet and others feel horrible. Possible side effects of the ketogenic diet include nausea, vomiting, constipation, irritability, fatigue, hypoglycaemia, increased serum cholesterol or triglycerides, calcium deficiency and renal stones13,14. Following the ketogenic diet is expensive. You may think it’s easy to eat lots of fat. Yay to cream on everything, butter chicken and chicken skin. The reality is that you still have to be wary of the types of fat you are consuming if you don’t want to be ticking timer for cardiovascular disease. Fats such as butter and cream need to be limited. Healthy fats such as nuts, seeds, avocados and other oils containing medium-chain triglycerides (MCTs) such as pure MCT oil, coconut oil and extra virgin olive oil should be included and these are all costly items. If you’re looking for snacks such as bars, one keto bar will cost you no less than R35.00 and the thought of a protein source mixed with loads of fat and the flavour of this masked with some form of sugar or flavourant is not very appealing either. If you go for the cheaper versions these usually contain unhealthy sources of fat. Once you jump on the ketogenic diet bandwagon you usually have to hold on. You may initially find a drop in your weight when you start the ketogenic diet but this may actually just be water weight15. If you use the ketogenic diet as a quick fix and then go back to normal eating you’re going to gain that weight again. Before you begin the ketogenic diet, you need to ask yourself if it’s a sustainable diet for you, something you can do long term and not just for a one-month quick fix. Make sure you are aware of the associated risks and take the necessary precautions such as regular health checks. Lastly ask yourself why you’re about to change your current diet- remember if you’re not an endurance athlete then the risks of the ketogenic may possibly outweigh the benefits. Remember that there is no quick fix diet to improve your performance as an athlete. Make sure you consult your coach as well as a healthcare professional before trying out any new diets. There’s no need to fear carbohydrates, especially when they’re balanced. FUTURELIFE® Smart food™ provides complete nutrition with an internationally recommended blend of energy from carbohydrates, proteins and fats as well as 21 vitamins and minerals delivering 50% of your daily requirements for all vitamins and most minerals. It also contains additional functional ingredients including fibre, inulin (prebiotic) and MODUCARE® (a daily immune supplement). In addition to FUTURELIFE® Smart food™, FUTURELIFE® has a wide range of powdered products as well as bars to keep you fuelled and performing at your best. Have you ever imagined life as it was many years back? A thatch hut, the smell of an open fire and plant-based porridge being cooked for suppertime. Awaiting the arrival of your husband and his hunting dog with the hopes that they caught something to be served as dinner. Humans obtained their foods by hunting, gathering or fishing, commonly known today as the Caveman diet, Palaeolithic diet or Stone Age diet. This is very different than the modern world, where we have unlimited access to food using many different channels. Let’s take a closer look at humans’ diets then and now. Nearly 2.5 million years ago the Palaeolithic period existed1. During this time humans first started using stone tools to hunt and gather foods. Approximately 10,000 years ago the agricultural period started and that saw the end of the Palaeolithic period. Although it is almost impossible to know precisely what our human ancestors ate in various parts of the world, researchers believe their diets consisted mostly of whole-foods3. A typical paleo diet consists of meat, fish, eggs, fruits, vegetables, nuts and seeds. A paleo diet is typically high in healthy fats and fibre, and lower in carbohydrates4. Foods such as cereal grains, legumes, potatoes, dairy and highly refined and processed foods are out. Sweeteners and refined sugars were not part of their diet except for honey when they could find it1. By following a whole food-based diet and leading physically active lives, hunter-gatherers presumably had much lower rates of lifestyle diseases, such as obesity, diabetes and heart disease. Research has shown that on average an American diet consists of 31% calories from cereals, 8% calories from beverages, 14% calories from dairy, 4% calories from oils, fats and dressings and 4%calories from sweets and biscuits. Added together and we are on 61% calories, indicating that nowadays we get 61% of our calories, nearly two-thirds, from foods that were largely unknown before the adoption of agriculture where food processing became the norm1. The 39% of remaining calories accounts for animal products also a lot different from our caveman ancestors. A Westernized diet is one that is characterized by a high intake of the following: protein (derived from fatty processed meats), saturated fats, refined grains, sugar, alcohol, salt, and corn-derived fructose syrup, with a lower intake of fruits and vegetables1,2,6. Research has shown that the shift from diets high in fibre and low in fat to diets high in fats and lower in fibre has contributed to individuals developing metabolic syndrome, obesity and higher rates of cardiovascular disease, diabetes and certain cancers. Both of the above diets have certainly got pro’s and con’s, but instead of following a specific diet we should instead be focusing on healthy choices every single day. Ever heard the saying that all foods can fit when eaten in the correct portions? For a change in lifestyle and options that will be long-term, read the article ‘No Diet Day’ on www.futurelife.co.za. Change is inevitable. Life has become more dynamic, with everything around us changing including our diet. Instead of focussing on how our modern diet is negatively impacting health, with the right healthful choices we should embrace the cards we are dealt with. We have information at the click of a button, fresh foods readily available, we have convenience with numerous food options and technology to prepare our foods in the best ways possible. Its often about how we see things, I think change is good. Everything is life has changed. Shouldn’t your breakfast cereal? Why not try FUTURELIFE® Smart food™ which provides complete nutrition in just one meal? A 50g serving of FUTURELIFE® Smart food™ mixed with low-fat milk is a nutritionally complete and balanced meal as it provides an internationally recommended blend of energy from Carbohydrates, Proteins and Fats5. It contains 21 Vitamins and Minerals delivering 50% of daily requirements for all vitamins and most minerals6. Additionally, it contains functional ingredients namely fibre and inulin (great for everyday digestive health) as well as MODUCARE® (which helps to strengthen and balance the immune system). Dolson, L. (2018, September 16). Very Well Fit. Retrieved from How the Paleo Diet Differs From What We Eat Now: https://www.verywellfit.com/paleo-vs-modern-diets-key-differences-2242240 Mahan, L., Escott-Stump, S., & Raymond, J. (2012). Krause’s Food & the Nutrition Care Process 13th Edition. Elsivier. Statovci, D., Aguilera, M., MacSharr, J., & Melgar, S. (2017). The Impact of Western Diet and Nutrients on the Microbiota and Immune Response at Mucosal Interfaces. Front Immunol. COMPLETE NUTRITION – WHATS THE FUSS? We live in a dynamic world – where everything around us is constantly changing. There has been a massive shift towards making more healthful choices. Individuals are now making food choices that are more nutritious to positively influence their health and well-being. Industries have also jumped onto the health bandwagon, with so many options out there, foods are now produced with the consumer in mind. That’s why its important for us to know what complete nutrition means to make sure we are making the best, healthiest choices for ourselves and our family. Let’s take a closer look. Did you know that an average person makes a ridiculous 35,000 choices every single day? You read right, 35 000 choices 1. Assuming that sleep accounts for about seven hours per day and thus is blissfully choice-free, we make about 2,000 decisions every hour or a shocking one decision every two seconds. Researchers have estimated that we make 226.7 food decisions each day and as your level of responsibility rises, so does the multitude of choices you have to make2. But food choices shouldn’t be difficult and once you understand complete nutrition it will hopefully make your choices that much easier. Carbohydrates are one of the food groups that are often overlooked and yet it plays such an important role in our body. Carbohydrates are our bodies’ main energy source meaning we need to eat these for vitality and productivity. What’s important here is the type of carbohydrates we are choosing. We need to try avoid refined, high sugar options and instead have high fibre options, these will keep us fuller for longer and help keep our digestive systems healthy3. This is easy to do – instead of white options choose brown – whole-wheat is even better. We also want to choose low GI carbohydrates, these give us slow sustained energy levels and keeps us fuller for a longer period – yay, double the benefits! Look out for the low GI claim on products. Protein is important to repair and replenish our muscles. They transport substances in our bodies and help our immune systems. Ever heard of something called amino acids? Amino acids are the building blocks of proteins, they are vital for a variety of functions such as protein synthesis, tissue repair and nutrient absorption. There are 20 different amino acids and these are classified as non-essential (our bodies can make these) and essential (our bodies do not make these, therefore we need to obtain these from our diet. Healthy fats play an important role in brain health, they also keep our hair, skin and nails looking fabulous and help to absorb fat-soluble vitamins. Essential fatty acids also known as omega-3 and omega-6 need to be obtained from our diet, these fatty acids play important roles in many processes in the body including our inflammatory responses and regulating blood pressure. They also help with the prevention of diseases such as diabetes and certain types of cancers. Vitamins and minerals play hundreds of key roles in our bodies. They help keep our bones healthy and strong, heal wounds and boost our immune system. They also convert food into energy and repair cellular damage. It is best to obtain vitamins and minerals from whole foods as they contain a complex medley of nutrients and other health-promoting substances, such as antioxidants, fibre and phytochemicals, that not only supply the raw materials you need for growth, repair, energy and immunity but also the compounds that can reduce your overall risk for many diseases4. Supplements can provide these benefits as well, but typically not in the same combination or to the same extent as whole foods Certain vitamins and minerals are also more readily available from food sources which means better absorption. If you feel you would like to supplement your diet, or you have certain deficiencies it would be best to speak to your healthcare provider. A 50g serving of FUTURELIFE® Smart food™ mixed with low-fat milk, is a nutritionally complete and balanced meal as it provides an internationally recommended blend of energy from Carbohydrates, Proteins and Fats5. It is the first and only scientifically formulated, low GI food that is high in energy. It is formulated using a key ingredient called SmartMaize™ which is the result of a patented cooking process, which gives it a distinct profile and a “unique fingerprint.” It is also high in dietary fibre and contains inulin, made from whole grains (which gives this product it’s “grainy” texture) to ensures optimal digestion and immune support. FUTURELIFE® Smart food™ is high in protein and contains 19 amino acids. Formulated using unique FutureSoy, providing 21% of energy from protein and 9g of protein per 50g serving. It is high in Omega-3 and naturally free from trans fatty acids and cholesterol. The product contains 21 Vitamins and Minerals delivering 50% of daily requirements for all vitamins and most minerals 6. Additionally, it contains functional ingredients namely fibre and inulin (great for everyday digestive health) as well as MODUCARE® (a daily immune supplement, helping to balance and strengthen the immune system, made from a patented blend of natural plant sterols and sterolins, in a clinically proven ratio of 100:1. MODUCARE® is supplied exclusively to FUTURELIFE® under license from Aspen Pharmacare). This product provides complete nutrition and is the smart choice for you and your family. To learn more visit www.futurelife.co.za . With so many choices every day, making healthy food choices should be as easy as 1,2,3. This will help to positively influence your health, decrease your risk for diseases and help you to feel fantastic. Now that you know what to look out for shopping for your family should be an absolute breeze. Wansink, B., & Sobal, J. (2007). Mindless Eating The 200 Daily Food Decisions We Overlook. SAGE Journal, 106-123. Mahan, L., Escott-Stump, S., & Raymond, J. (2012). Krause’s Food & the Nutrition Care Process 13th Edition. Elsivier. While what you eat before, during and after your sport is very important, a healthy, balanced diet, providing sufficient energy to fuel your training, as well as sufficient macronutrients (carbs, protein and fats) and micronutrients (vitamins and minerals) should be a high priority for every sporty person. Such a diet will help you and your family perform at your best, have sustained energy, improve your health and prevent illness. Let’s take a closer look at some of the components of a healthy diet as well as guidelines around the amounts required. Take note that while not mentioned in this article, other important dietary components to monitor are your fluid and fibre intake. Carbohydrates play numerous roles in sports, arguably the most important of which is its role in energy provision. They provide an important energy source to muscles during exercise and since the body is only able to store limited amounts of carbohydrates, it is important that adequate amounts are provided through the diet. For good health, the majority of carbohydrates in the diet should come from nutrient-dense sources such as wholegrain breads and cereals, rice, pasta, fruits, starchy vegetables (e.g. sweet potato, potato and corn), legumes as well as dairy products. Try to always include lower GI products to provide sustained energy. Training families require a moderate amount of protein in the diet. Protein is essential for many functions within the body, including it’s often most recognised function, muscle repair and growth. Requirements can usually be met with a well-planned diet. Intake should ideally be spread throughout the day, rather than at one or two meals. Protein can be obtained from both plant and animal sources, but it is important to be aware that animal proteins, while high quality are often high fat and that lower fat options should be prioritised. Below are some examples of both plant and animal protein sources which could be included in the diet. While fat is necessary for absorption and transportation of fat soluble vitamins, protection of organs, brain development and is an integral component of cell membranes, it is also a very energy-dense macronutrient. This means that an excessive intake can lead to weight gain. While fat requirements will vary at different ages, the major fat sources in the diet should be unsaturated, coming mostly from plant sources. These are considered “healthy fats” because they can lower “bad” cholesterol and increase “good” cholesterol which benefits the heart and vascular system. Omega-3 fatty acids also provide many health promoting benefits, while trans-fats should be avoided as far as possible, always check trans-fat content on labels. ‘Micronutrients’ refers to vitamins and minerals, which the body requires in small amounts daily for many necessary functions. 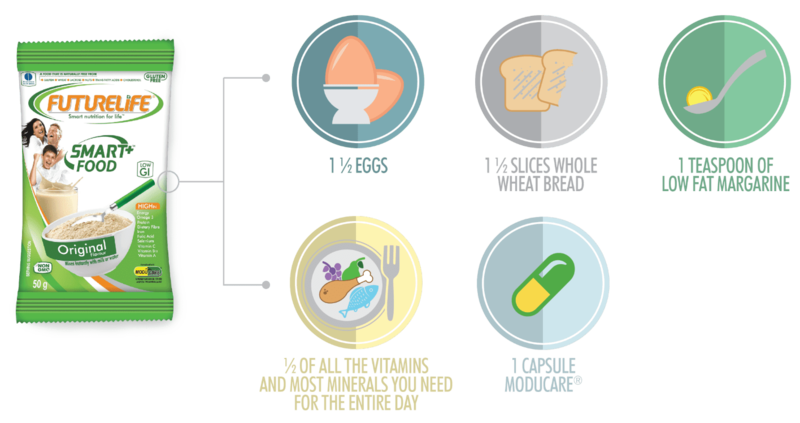 Each micronutrient has a NRV or a daily intake considered to be sufficient to meet the currently recognised nutritional needs of the majority of healthy people. Active people may have slightly increased requirements for certain micronutrients, however, with meeting increased energy requirements and eating a healthy, balanced diet, without any food group exclusions, micronutrient requirements are also usually met. Pay special attention to fruit and vegetable intake, making sure that you eat 5 or more servings per day. Fruit and vegetables are rich sources of micronutrients. Ensure that you vary your choices of fruit and vegetables, choosing different colour options. Reaching the nutritional requirements of your active family is not as difficult as many people believe. A diet providing sufficient energy, macronutrients and micronutrients just requires a good understanding of requirements and planning from there. Are you pressed for time and struggling to find a quick, great tasting meal to provide your whole family 100% complete nutrition? FUTURELIFE® Smart food™ ticks all the boxes, providing complete nutrition to all ages, with a host of added nutritional benefits. Amongst its unique features, FUTURELIFE® Smart food™ is high in protein, carbohydrates, dietary fibre, energy and omega-3 fatty acids. It is also low-GI and provides 50% of your daily requirements for vitamins and most minerals in a 50g serving. NOW THAT’S SMART! Type “diet” into google and 963 million results instantly appear. This doesn’t shock me in the slightest. More and more individuals are following crazy “diets” to look and feel better. With continued excitement for eating low-carb, high fat or Paleo diets – diets that have a higher protein intake – the popularity of protein is on a reigning high. You may question why this macronutrient is gaining popularity? Let’s take a closer look. When trying to lose weight we need to consume less calories than what our bodies use. A higher intake of protein is usually seen as a good idea due to preserving lean mass during the weight loss period. Let’s see how this all works. We all know that breakfast is the most important meal of the day. Studies have shown that eating breakfast assists with long-term weight control, even more so if the breakfast included a protein. Protein helped individuals to reduce their calorie intake later in the day. Protein increases levels of satiety. Satiety is the feeling of fullness and the suppression of hunger for a period, after a meal is ingested2. Feelings of satiety can influence how much and how soon we eat next. There are several bodily signals that begin when food or drinks are consumed. These are regulated by the hypothalamus area in your brain1. Hormones are signalled to your brain in response to feeding. A higher-protein intake increases levels of satiety by releasing hormones namely GLP-1, peptide YY and cholecystokinin which are appetite suppressing hormones and reduce levels of our hunger hormone, ghrelin1. Individuals then consume less calories as they feel less hungry. Have you ever heard of the thermic effect of food (TEF)? The TEF is the amount of energy needed to absorb and digest food. Different macronutrients have different thermic effects. The thermic effect of protein (20-30%) is higher than carbohydrates (5-10%) and fats (0-3%)5. This means that protein uses more energy (calories) for absorption, digestion and storage. This has shown to assist in weight management- what a bargain! Protein helps to reduce cravings not only due to the satiety effect mentioned above but because protein helps to lower the GI of foods consumed. Lower GI foods help to keep us fuller for longer and give us slow, sustained energy. A study showed that protein helps to decrease cravings and late-night snacking by consuming 25% of your energy from protein. Cravings were decreased by 60% and late-night snacking by half. For healthy adults the WHO recommends 0.8g/kg/day or 15-20% of your total energy7. A high-protein diet is one that contains 25-30% of total energy from protein8. Although many studies have shown that protein can assist with weight loss, we need to remember that protein from animal sources can often be high in fat which can lead to heart problems. High-protein diets are often low in carbohydrates. These types of diets often give short-term weight loss results and long-term evidence on the negative effects or safety of consuming a high-protein diets are not yet available. Protein does help increase satiety, decrease appetite and food cravings and has the highest thermic effect. All these factors can assist you on your weight loss journey, but instead on focusing solely on one macronutrient we would rather want to focus on eating a balanced diet, that includes a variety of foods and eat unhealthy foods in moderation. A more permanent solution is to make a lifestyle change. Eat low-fat, high fibre foods including lots of fruits and vegetables, unprocessed grains and cereals, plant proteins, fish, chicken and lean meats and exercise on a regular basis. These lifestyle changes will help improve overall health. The FUTURELIFE® range has something for everyone. Most products contain a functional ingredient and are high in protein, vitamins, minerals, omega-3 and fibre, most are also Low GI – sounds super? If weight loss is what you are looking for try FUTURELIFE® HIGH PROTEIN Smart food™ or FUTURELIFE®ZERO Smart food™ for the most effective results. Visit http://futurelife.co.za/products/ for more information on the range, eating plans, recipes, articles and a whole lot more. Science News. [Online]. ; 2011 [cited 2018 July 12. Available from: https://www.sciencedaily.com/releases/2011/05/110519113024.htm. British Nutrition Foundation. [Online]. [cited 2018 July 12. Available from: https://www.nutrition.org.uk/healthyliving/fuller/understanding-satiety-feeling-full-after-a-meal.html?limitstart=0. Austin J, Marks D. Hormonal Regulators of Appetite. Int J Pediatr Endocrinol. 2009 December. Batterham RL, Heffron H, Kapoor S, Chivers J, Chanderana K. Critical role for peptide YY in protein-mediated satiation and body-weight regulation. Cell Metabolisim. 2006 September; 4(3). Le T. My Fittness Pal. [Online]. ; 2016 [cited 2018 July 12. Available from: https://blog.myfitnesspal.com/5-reasons-why-protein-is-good-for-weight-loss/. Lejeune M, Westerterp K, Adam T, Luscombe-Mars. Ghrelin and glucagon-like peptide 1 concentrations, 24-h satiety, and energy and substrate metabolism during a high-protein diet and measured in a respiration chamber. Am J Clin Nutr. 2006 Jan; 83(1). Ottermann. Health 24. [Online]. ; 2013 [cited 2018 July 12. Available from: https://www.health24.com/Diet-and-nutrition/Weight-loss/High-protein-diets-are-they-safe-20130210. Gunnar K. Healthline. [Online]. ; 2017 [cited 2018 July 12. Available from: https://www.healthline.com/nutrition/how-protein-can-help-you-lose-weight#section8. World Health Organisation. [Online]. ; 2018 [cited 2018 July 12. Available from:https://www.google.co.za/search?ei=RTxHW47HJeWfgAbKsZQg&q=energy+recommendations+for+protein+15-20%25&oq=energy+recommendations+for+protein+15-20%25&gs_l=psyab.3.3827.6445.0.7006.7.7.0.0.0.0.435.1924.3-2j3.5.0.0.1c.1.64.psy-ab.2.4.1487.33i22i29. Patel K. Examine.com. [Online]. ; 2018 [cited 2018 July 12. Available from: https://examine.com/nutrition/how-does-protein-affect-weight-loss/. With fat being a hot topic these days, you are probably wondering if you are consuming the right type. With so many oils to choose from, do you feel stumped as to which one you should be buying and using based on your needs? Fear not! Here we will explain the types of fat you should be including in your diet, along with how to do it. WHAT IS THE FUNCTION OF OILS? Fats and oils have many different functions in the body, including chemical, physical and nutritional. In food, fats and oils provide appearance and texture, flavour, nutritional value (provide calories and are needed for the absorption of vitamins A, D, E and K), satiety, solubility and heat transfer1. Figure 1: Fatty acid composition of oils5. Figure 1 depicts the fatty acid composition of various oils. As you can see, coconut oil is mostly made up of saturated fat, so you should limit the use of this oil. On the other hand, olive oil is mostly made up of MUFAs, which may help decrease your risk of heart disease. You should thus try to include this in your diet where possible. When you expose cooking oils to high temperatures, oxidation and a number of other chemical changes start to occur. If oils are heated too high, or for too long, they can start to breakdown and form a number of by-products1. The type and quality of oil, as well as the temperature it is exposed to are some of the factors that dictate the chemical reactions that take place. The end result of heating oil too much and for too long is decreased nutritional value of the oil and the by-products may have adverse health effects1. The temperature at which an oil starts to break down is known as its smoke point. Different oils as well as whether they are virgin, semi-refined, or refined, have different smoke points as seen the table below3. You may have been told to cook with olive oil as it is the healthiest for you, but just be aware of the type of olive oil you are using, as well as the temperature you are going to expose it to. For example, if you are going to be pan-frying a food, it may be better to use virgin olive oil as opposed to extra virgin olive oil. Based on the smoke point, some oils would be suitable for cooking at high temperatures. However, some oils may have a high smoke point, but also have a very strong flavour. Can you imagine the taste of French fries cooked in avocado oil? Beyond the taste, avocado oil is expensive. To make things a bit easier for you, the below table lists the oils suitable for various cooking methods or uses4. Store oil away from light and heat. A cool, dark cupboard may be just the place. Some oils, especially those high in PUFAs (e.g. grapeseed oil) are prone to turning rancid quickly. Rather store these oils in the fridge. Understanding the chemistry behind the oil is key to knowing which oil you should be using and for what. The less exposure to heat the better, where some oils are more tolerant than others. After going through this article, I am sure you will be able to impress your guests at your next ‘come-dine-with-me’-styled dinner party! Cooking with Extra Virgin Olive. Gray, Sarah. 2, s.l. : ACNEM Journal, 2015, Vol. 34. Position of the Academy of Nutrition and Dietetics: Dietary Fatty Acids for Healthy Adults. Dietetics, Academy of Nutrition and. 1, s.l. : Journal of the Academy of Nutrition and Dietetics, Vol. 114.